Santiago Chile, Paseo Ahumada. Crowds of people, shoppers, walking talking in the main shopping street of Santiago de Chile. Santiago Chile, Paseo Ahumada, corner of Agustinas. 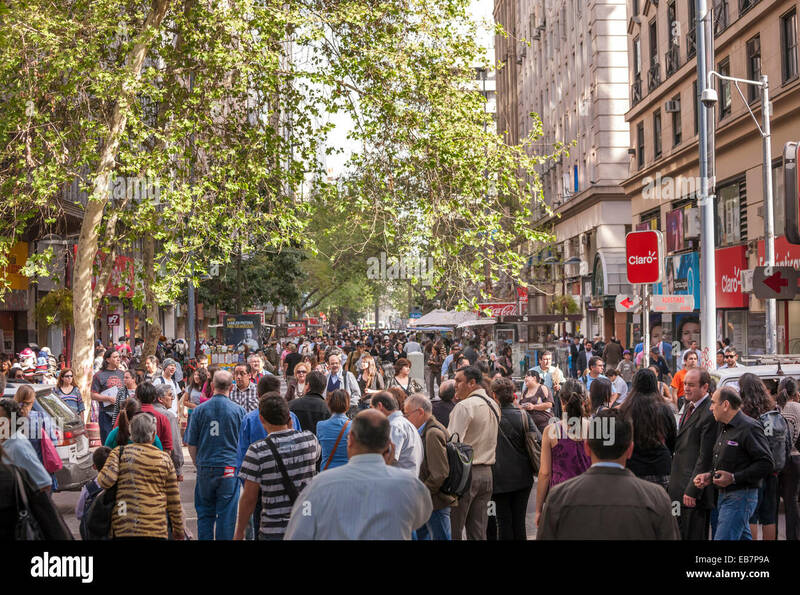 Crowds of people, shoppers, walking talking in the main shopping street of Santiago de Chile, the Paseo Ahumada. All can be seen talking to each other. Only a few can be seen talking to their phone.